Graded VG/EX 50 by SGC. 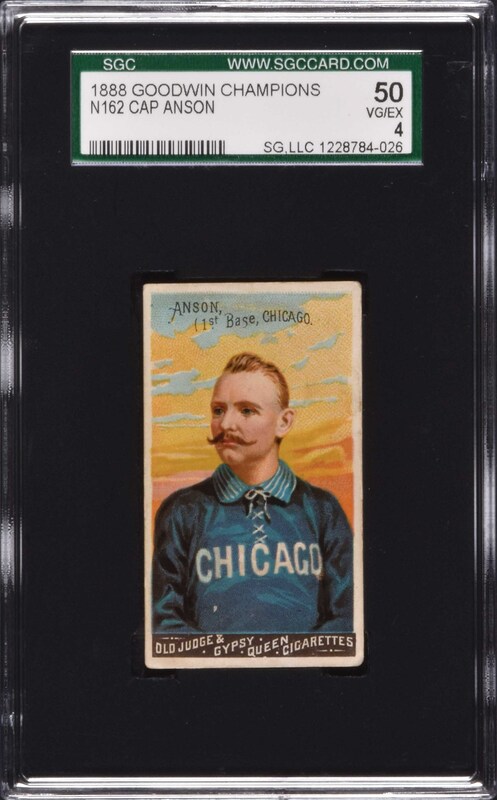 Extremely attractive example of Cap Anson from the colorful 1888 N162 Goodwin Champions set. Anson is the key card from this very popular fifty-card set issued by Old Judge and Gypsy Queen Cigarettes. This example is bright and crisp, with flawless colors and perfect registration. There is even wear on the corners, and the card is centered to the left. A tiny chip of paper loss on his jersey is mentioned for accuracy. The reverse is lightly toned with a couple tiny spots of paper loss. 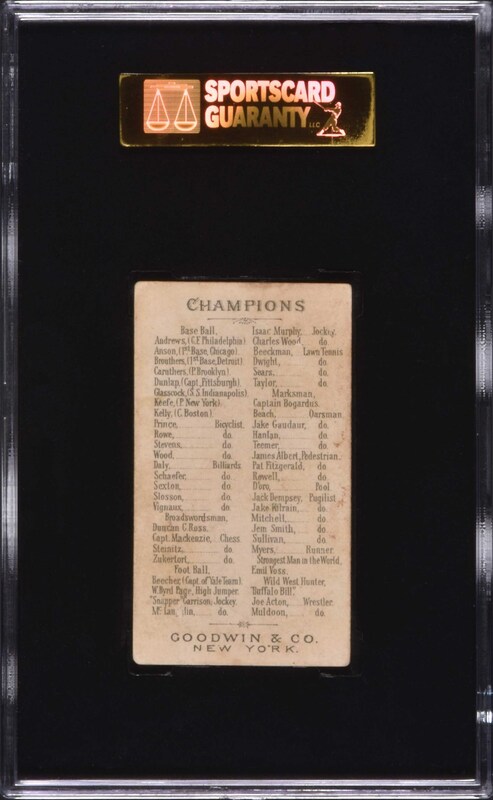 This card presents a great opportunity to acquire an extremely attractive example of one of the most classic of all 19th-century baseball cards. Reserve $1,000. Estimate $2,500+.